The School of Nursing and Midwifery at CQUniversity is committed to providing a quality education that ensures an experience of study that is both successful and enjoyable for students across our range of programs in VET and Higher Education. The staff of the School encourage engagement in the education process regardless of the student's mode of enrolment. Curricula are built on solid foundations of educational principles and reflect the needs of the contemporary health care setting. The emphasis on work integrated learning ensures that the theoretical content of each program is transferable and applied in the variety of environments in which nurses and midwives are employed. Research activities of staff in the School ensure that the curriculum for each course is evidence-based and reflective of current practice. The globalised environment of health care requires an emphasis on internationalisation of curricula and programs offered by the School of Nursing and Midwifery are developed and implemented with these principles in mind. Opportunities for international student experiences are one example of how a global perspective of health care is instilled in graduates. 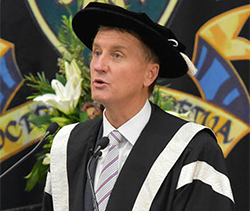 Ultimately the School produces nurses and midwives that are highly sought after by industry through recognition of the quality of education that CQUniversity provides. Information about the various programs is offered below. Our courses and programs offer opportunities in study on an education continuum from certificate level through to postgraduate qualifications, with a range of short courses and professional development modules for industry, awarded with CPD hours for annual registration with AHPRA. The Bachelor of Nursing (CQ23) offers a combination of theoretical and practical subjects to prepare you for your nursing career. You will cover areas such as nursing patients across the age spectrum, clinical assessment skills, acute nursing, mental health, wound and pain management, professional issues, pathophysiology and health promotion. Students can undertake study from Rockhampton, Mackay, Townsville, Cairns or Bundaberg campuses, or study by distance and attend regular residential schools. Upon completion, you will be eligible to apply for registration as a nurse with the Australian Health Practitioner Regulation Agency. This registration opens up opportunities to work as a nurse across Australia and to apply to work anywhere in the world. The Bachelor of Social Work (Honours) (CC48) aims to produce professionally qualified social workers who have fulfilled the practice standards of the Australian Association of Social Workers (AASW) and will be eligible for membership of the AASW. Social workers pursue social justice and work to redistribute resources that assist client groups to achieve social inclusion, support people to enjoy a better quality of life, and facilitate individual and community wellbeing. Social Work is a profession committed to social justice and respect for human rights and provides a range of services including counselling, group work, mediation, advocacy, social support, legal reports, crisis intervention and referral advice. Social workers contribute to policy development and advise governments on specific welfare issues and as such can influence how services are delivered and how society responds to social issues. This program includes a range of courses focusing on social work knowledge, values, and skills with cognate disciplines also enhancing your social work education such as psychology, sociology and Indigenous studies. 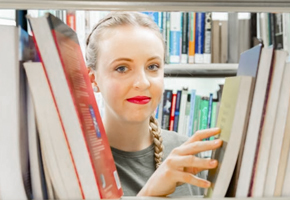 Students will gain advanced knowledge of social work theory, utilise technical skills to design and use research in a project in their final year and develop skills in research design and methods. 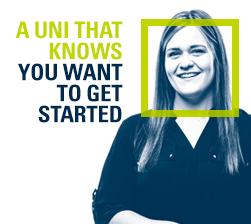 At CQUniversity, our education and training philosophy focuses on learning from contemporary social work scenarios that are often authored by colleagues working in the human services sector in collaboration with academic staff. We also have well-established industry relationships, as well as student exchange programs with several international universities. Your learning is supported with online resources and one intensive three-day residential school per term, on-campus at CQUniversity Brisbane. This combination of face-to-face residential schools, regular online activities with staff and peers, and small learning groups will equip you with advanced level skills, including critical reflection, self-directed research and learning, problem-solving and teamwork. The flexibility of assessment items across many courses allows you to focus your learning around workplace issues you may be experiencing or the community in which you live. The program incorporates two unpaid field education experiences; one undertaken at the beginning of the third year of the program (12 weeks of equivalent full-time work) and one in the final term of the fourth year (16 weeks of equivalent full-time work). Professional nursing practice is no longer only a matter of keeping up-to-date with changes in practices. 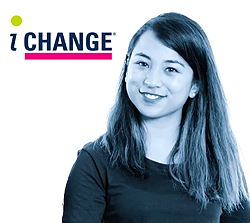 Health care professionals including nurses are at the forefront of change in practice, utilising new techniques and knowledge and acting as leaders in change processes in the workplace. The programs are designed to assist today's busy practitioners by developing the knowledge and skills in proactive practice while they gain a relevant postgraduate award. The midwifery programs offered by CQUniversity are based on a philosophy of primary health care and partnership with the woman. The midwife/woman partnership model of care is woman-centred. Women-centred care embraces trust, empowerment, a supportive environment and continuity of care. Continuity of care enables women to establish trusting relationships with their midwifery partners. The midwifery programs promote students to provide women-centred care which is holistic encompassing, as accepted by the woman herself, the emotional, psychological and social as well as physical needs of the baby, the family and the community. Women-centeredness' places the woman in the position of power and control as the decision-maker during her unique childbearing journey. The midwifery programs at CQUniversity teach midwives to use their expertise and evidenced-based knowledge to support and help women discover their individuality and uniqueness to birth resulting in physical and psychological growth. In other words, the woman's ability to trust and know that her body can birth her baby is acknowledged and honoured by midwives. The postgraduate courses in Domestic and Family Violence Practice program provide an opportunity to deepen skills and understanding of key practice and specialist areas in relation to domestic and family violence which are reflected in program electives covering child safety, men's behaviour change and working with victims and survivors. The knowledge and skills gained by completing these courses are transferable across a wide range of professions and occupations where workers encounter domestic and family violence issues and include responding to victims and perpetrators, and leadership and management from a domestic and family violence perspective. Our school offers a range of short courses and professional development modules and workshops through the Centre for Professional Development. Our courses are based on contemporary health topics custom built in response to industry demand. Visit our Learning site.